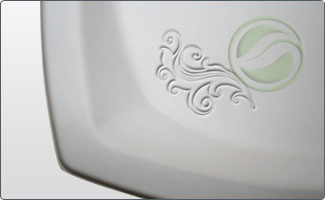 Precise and Detailed Embossment can be applied to our sugarcane tableware. All product packaging is uniquely designed to feature and maximize Your Brand. Differentiate your product from competitors by creating custom sugarcane tableware.